Chen Wang is currently an Associate Professor at School of Electronic Information and Communications, Huazhong University of Science and Technology (HUST), P. R. China. He received the B.S. and Ph.D. degrees from Department of Automation, Wuhan University (WHU), P. R. China, in 2008 and 2013, respectively. 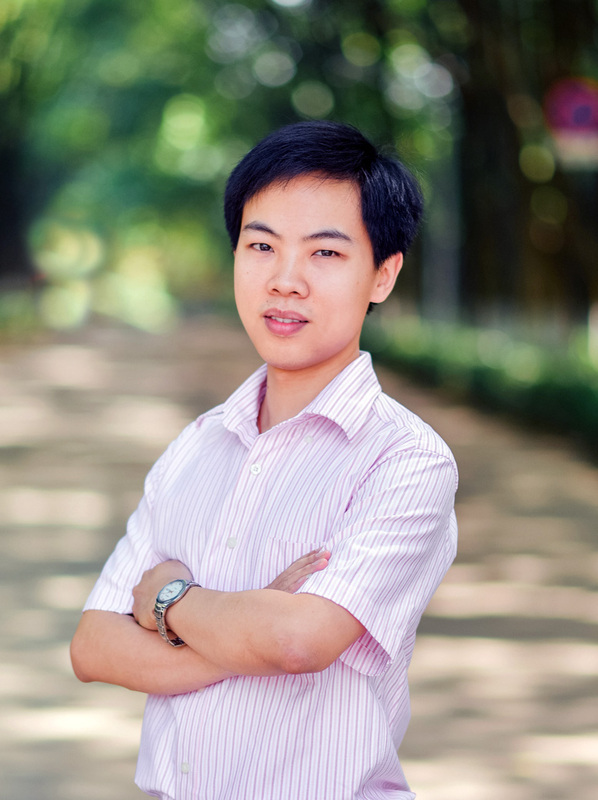 From 2013 to 2017, he was a Post-Doctoral Research Fellow at Networked and Communication Systems Research Lab, HUST, working with Prof. Hongbo Jiang. His research interests are in the broad areas of wireless networking, Internet of Things, and mobile computing, with a recent focus on adversarial patterns and countermeasures in machine learning algorithms, as well as privacy enhancing technology in wireless/mobile systems. Openings. I am looking for highly self-motivated Ph.D./M.S./undergraduate students who are strongly committed to cutting-edge research on machine learning and data privacy. Solid background in programming or mathematics is a big plus. If you are interested, feel free to drop me an email at dr.chen.wang@ieee.org. [IoT-J] Ping Zhao, Hongbo Jiang, Chen Wang*, Haojun Huang, Yang Yang, Gaoyang Liu. On the Performance of k-Anonymity against Inference Attacks with Background Information. IEEE Internet of Things Journal. 2019, 6(1): 808-819. [ToN] Hongbo Jiang, Ping Zhao, Chen Wang*. RobLoP: Towards Robust Privacy Preserving against Location Dependent Attacks in Continuous LBS Queries. IEEE/ACM Transactions on Networking. 2018, 26(2): 1018-1032. [IoT-J] Ping Zhao, Jie Li, Fanzi Zeng, Fu Xiao, Chen Wang*, Hongbo Jiang. ILLIA: Enabling k-Anonymity-Based Privacy Preserving against Location Injection Attacks in Continuous LBS Queries. IEEE Internet of Things Journal. 2018, 5(2): 1033-1042. [TMC] Chen Wang, Hongzhi Lin, Rui Zhang, Hongbo Jiang. SEND: A Situation-Aware Emergency Navigation Algorithm with Sensor Networks. IEEE Transactions on Mobile Computing. 2017, 16(4): 1149-1162. [TMC] Chen Wang, Hongzhi Lin, Hongbo Jiang. CANS: Towards Congestion-Adaptive and Small Stretch Emergency Navigation with Wireless Sensor Networks. IEEE Transactions on Mobile Computing. 2016, 15(5): 1077-1089. [ToN] Chen Wang, Hongbo Jiang, Tianlong Yu, John C.S. Lui. SLICE: Enabling Greedy Routing in High Genus 3-D WSNs With General Topologies. IEEE/ACM Transactions on Networking. 2016, 24(4): 2472-2484. [TOSN] Chen Wang, Wei Wei, Hongzhi Lin, Hongbo Jiang, John C.S. Lui. BLOW-UP: Towards Distributed and Scalable Space Filling Curve Construction in 3D Volumetric WSNs. ACM Transactions on Sensor Networks. 2016, 12(4): 30:1-30:20. [TOSN] Chen Wang, Hongbo Jiang, Yan Dong. Connectivity-based Space Filling Curve Construction Algorithms in High Genus 3D Surface WSNs. ACM Transactions on Sensor Networks. 2016, 12(3): 22:1-22:29.